The valve train of any type of engine is a fairly complicated system that often causes confusion to those without a large amount of engine knowledge and experience. While this article focuses mainly on diesel engines, many of the points can also apply to other engine types as well. The main function of the valve train, as indicated by its name, is to control the opening and closing of the valves and, for older models, the fuel output of the injectors. Most of the heavy duty diesel engines we work with are 4 valve engines, meaning there are four valves in each cylinder: 2 intake and 2 exhaust. The valve train will, using different components based on the type, push on or lift up from the valves, allowing air into and out from the cylinder. In the middle of all the valves is the injector, which will be pushed down on to inject fuel into the cylinder. All of the timing for this process is incredibly precise. Newer engines use electrical signals to cue the injector, rather than the mechanical valve train, which makes that process even more precise. The valve train can have many components. The following are the most common components in the valve train. Depending on the type of engine, there may be varying quantities of the parts listed below, or the engine may not contain all of the parts listed. The camshaft is a long shaft that goes through the head or the block of the engine, depending on what type of engine it is. There are lobes along the length of the shaft positioned differently. The profile of the lobes have an egg-shape to them. The dimensions of these lobes are what determines the amount of lift. 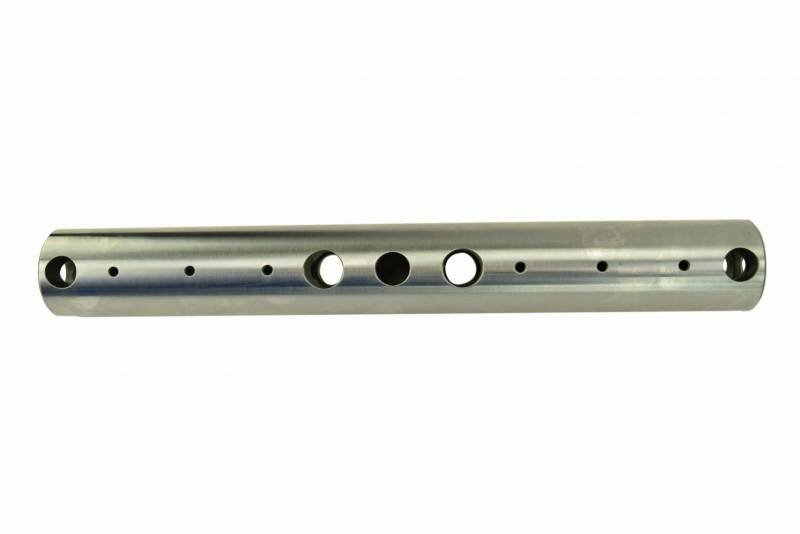 The more lift, the longer the valves stay open, which allows more air into the cylinder. 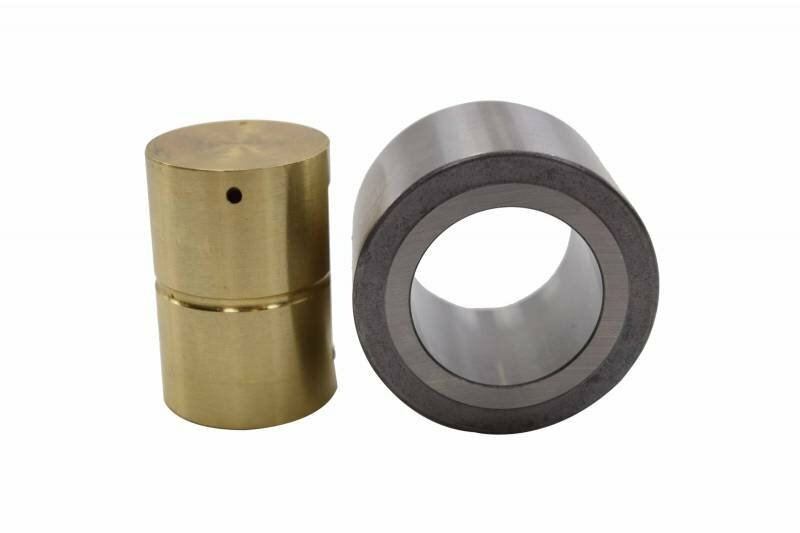 A cam follower is a type of bearing that follows(appropriately named, right?) along the lobes of a camshaft as it rotates, providing a low-resistance surface for the lobe to push up against. A follower is also called a lifter, and sometimes a tappet. There are several types of cam followers, whose configurations generally depend on how they mount to their mating part. They will be used when the cam is in the block, rather than being overhead. 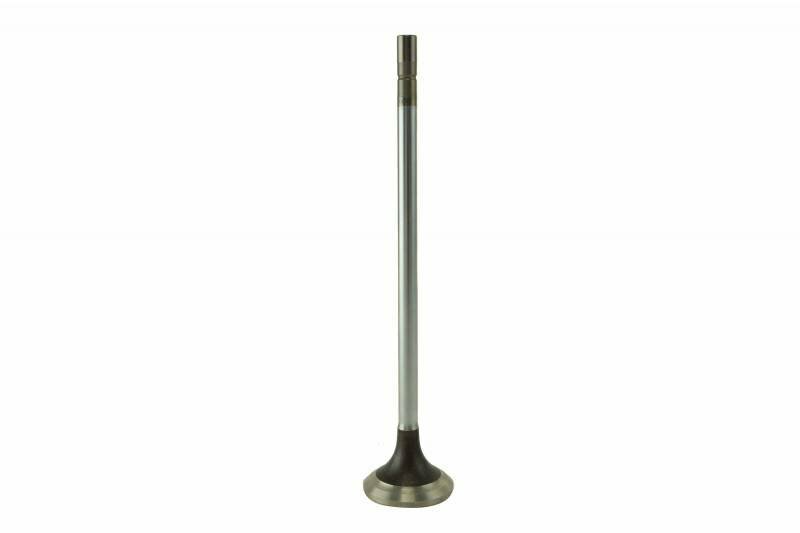 Push rods are one of those parts that are not always used in a diesel engine. They will also only be used when the cam is in the block and not overhead. A push rod is a rod that pushes up on the rocker arm. It will move depending on the movement of the camshaft follower. Another job of the pushrod is to conduct oil up to the cylinder head. 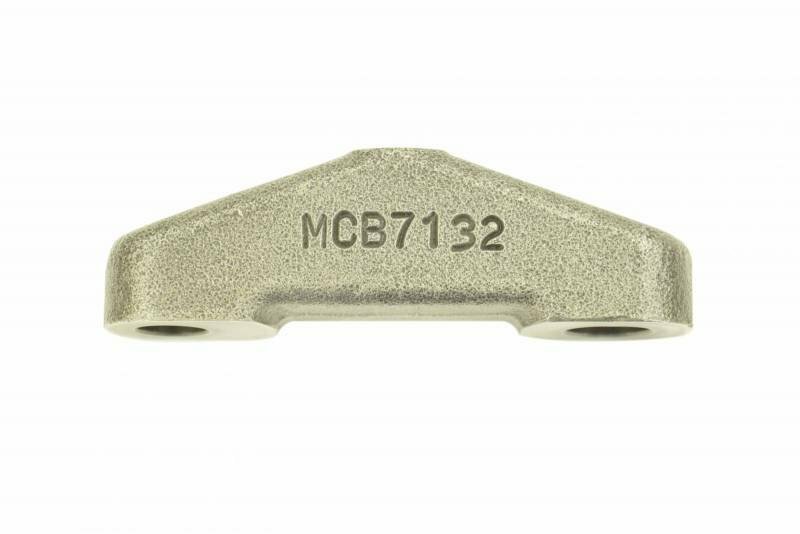 A rocker arm is a pivoting lever that pushes on the valve stem. Rocker arms will sometimes be called rocker levers, or just rockers. Depending on the type of valve train, the rotating camshaft lobes will either push directly on the rocker am, or on the push rods, which will conduct that motion up to the rocker arm. In an overhead cam engine, the cam follower is built into the rocker arm in the form of a roller. Rocker shafts are simply the shafts that the rockers are on. It’s this shaft that is the pivot point for the rocker arms. The shaft also conducts oil to the various rocker arms. Valve bridges are also sometimes called valve yokes. Bridges allow a single rocker to actuate multiple valves. It has a stem or bridge that sits on both valve stems, so that when the rocker is pressed down, the valve stems get pressed down as well. A valve is composed of two major sections, the valve head and valve stem. The head of the valve is what allows air into and out of the cylinder. The stem is what gets gets pressed on by the rest of the valve train. At the end of the stem are grooves that keepers will fit into to hold the valve in place. Some engines have only two valves per cylinder, and some have four. The more common number in the heavy duty diesel market is four. These are split evenly between intake and exhaust valves. The camshaft creates an upward force that acts on the rocker arm, which in turn pushes the valve down. But as the cam rotates around, it does not pull the pushrod or rocker arm back with it. That’s why there is a valve spring to create force in the opposite direction and close the valve. 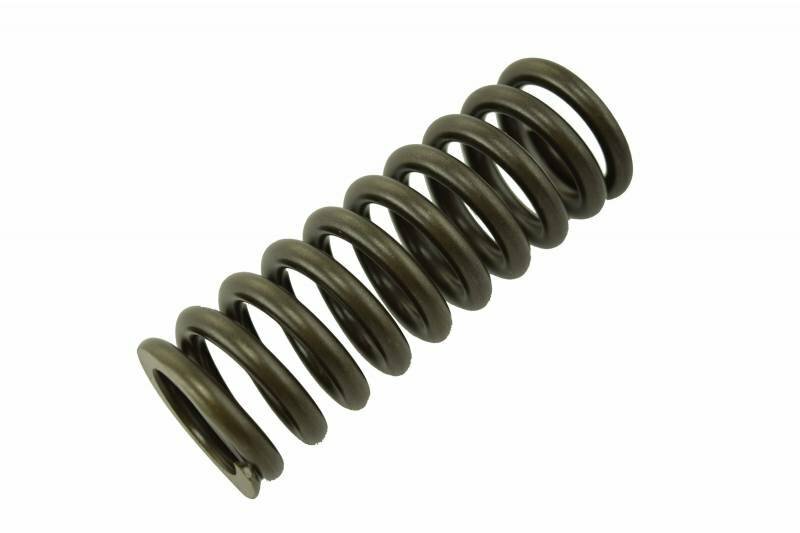 The spring will hold the valve closed until the lobe of the camshaft comes around with a greater force and pushes it down. Often when the valve train fails, it’s because of the camshaft. However, the camshaft usually isn’t the only part of the valve train that needs to be replaced. Most likely, if there’s wear on the lobes of your camshaft, the followers or the rollers in your rocker arm also have wear and need to be replaced as well. Now, most people think that when the roller in their rocker arm is worn, they have to completely replace the rocker arm. This thought probably originated because that’s the only way several OEMs will sell them. But unless your actual rocker arm is bad, there is no reason that you have to replace the entire assembly. If there is just wear on the roller, all you really need is to replace that part. For several engine applications, HHP offers pin and roller kits, which can save thousands of dollars. 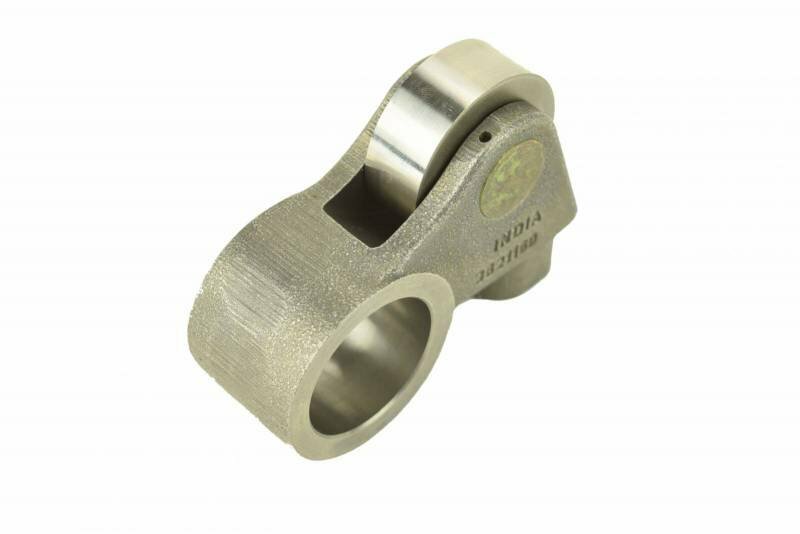 A pin and roller are going to logically be cheaper than an entire rocker arm, but multiplied by the eighteen rocker arms that some engines have, the amount you will save increases tremendously. Highway and Heavy Parts is fully committed to the success of our customers. If you have any outstanding questions about the valve train, or general questions you need answered, please give us a call at (844) 215-3406.